One can start Micro, Mini and Standard lot trading within this account. In addition to these options, there is an opportunity to open the account of Introducing Broker and Affiliate account that feature variable spreads or ECN Premier spreads. The minimum deposit ($100) is equal for all accounts. It is allowed to have multiple accounts with different usernames. There is MAM system for money managers that enables to manage the accounts. This forex broker is allowed scalping and hedging. Excellent solution if safety is a priority. The broker is fully audited annually. The funds are managed by the third party administrators and are protected from huge market volatility. All conditions for optimal trading environment: advanced technologies, best software and hardware, fast execution in the shortest time possible, low-latency connectivity solutions due to use of premium fiber optic technology. Other advantages include 30-day demo account with identical spreads in both types of accounts (practice and live), fully automated trading tool Sirix for social trading, VPS, webinars and seminars, multiple funding methods, round-the-clock support (24/5). 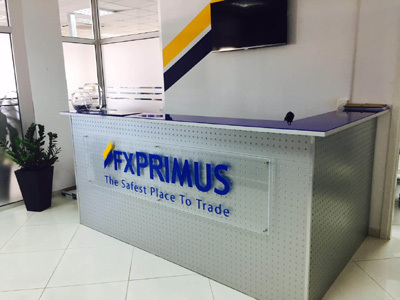 Is FXPRIMUS scam or not?